April showers bring May flowers … and often June, July and August heat waves. If you’d like to enjoy your HVAC cooling system to the fullest this summer without breaking the bank, spring is the time to take a few simple steps to prepare. Why not do a test run of your cooling system right now? This way, you can see how well it’s working and troubleshoot any issues before the thermometer soars way out of sight. Besides safeguarding your family comfort, you’ll be able to quickly get professional help for problems that are beyond your DIY scope. Rule of thumb: HVAC technicians are almost invariably easier to get hold of during the off-peak season – and their rates may reflect this. Next, go outside and inspect the exterior unit for debris, dead leaves and plant growth that have the potential to block the airflow. Make sure you check your HVAC filter regularly. During heavy summer use, the filter will likely need to be washed or replaced about once a month (possibly more if you live in an especially dusty area or have house pets). While you’re at it, dust the grates as well. Clean the evaporator coils annually, straightening any bent ones. 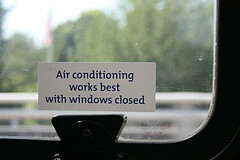 Schedule your annual HVAC tune-up if you are due for one. A system that is over 10 years old may be costing you more in electricity bills than it is worth, especially if you live in an area with long, hot summers such as Austin, Texas. Ask your Austin HVAC tech whether it would pay to install a new Energy Star system instead. If you do opt for a new model, order it ASAP and make sure it is properly installed. Use your HVAC system’s programmable thermostat to schedule operation for times when you are at home. Efficient use of this handy device can save you close to $200 per year on your utility bills. When your family’s schedule changes, reassess your needs and adjust the programmable thermostat if appropriate. For further savings, set the thermostat a few degrees higher than you normally would and use a low-energy-consumption fan to help circulate the cool air. Ceiling fans should be switched to turn in the correct direction (counter-clockwise); this directs hot air upward and away from the center of the room. Prevent leakage of precious cool air by sealing around the HVAC unit and your ducts’ seams and connections. Then wrap the ducts in insulation. If the ducts pass through an attic space, consider insulating that too. Sealing and insulation require a certain amount of effort but will be well worthwhile in energy efficiency both summer and winter. It’s recommended to seal around windows, doors and baseboards also or even to replace windows if necessary. Reduce the heat that is generated inside your home by using your electric clothes dryer during cooler hours (or line drying!) and cooking at off-peak times, microwaving or barbecuing outdoors.